Compacted soil can prevent a tree’s access to oxygen and water, eventually leading to root damage and tree death. 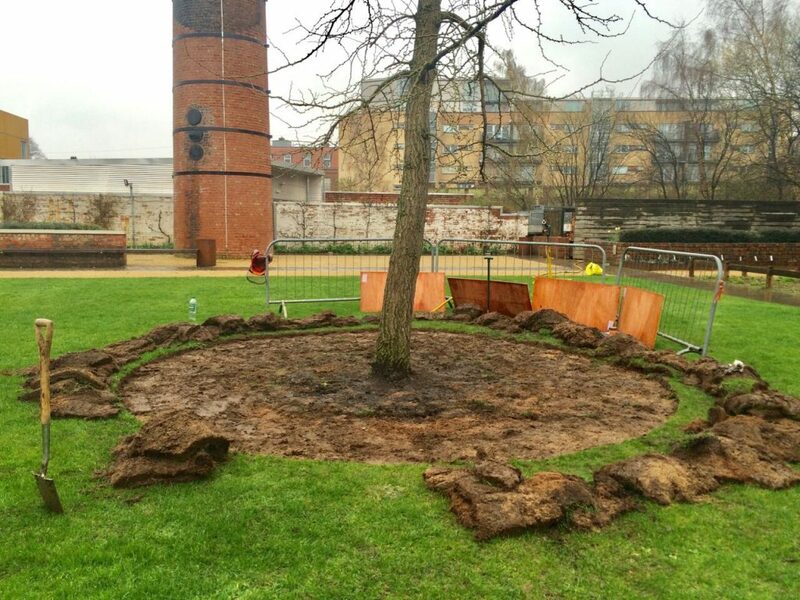 The ground around a tree can easily be compacted by machinery or pedestrians, especially on development sites and in parks and gardens. The resulting tree death is quite rapid and irremediable. Arbor Vitae Arboriculture can improve the health of a tree with our soil decompaction service using an Air SpadeTM. Our arborists and arboriculture consultants can advise on how to best maintain filtration of air and water to trees on development sites, however, if a rooting area becomes compacted it should be de-compacted as soon as possible to help the tree survive. Soil de-compaction with Air Spade is a fast and extremely beneficial remedy. 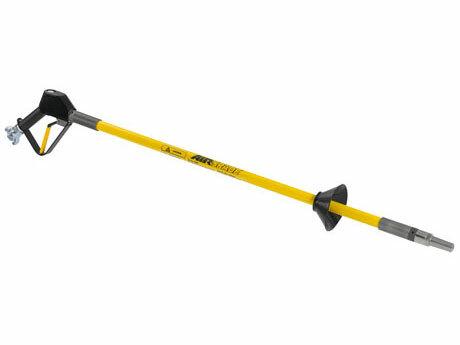 The purpose-built excavation tool penetrates soil with compressed air that expands rapidly to fracture the soil. This creates more suitable conditions for the tree to metabolise with minimal damage to the woody tree roots. Air-spading can cause some temporary loss of beneficial myccorhizal fungi; in order to help repopulate these important organisms, we add a broad-spectrum mix of mycorrhizal fungi spores to exposed tree roots after any Air Spade work. We are the only company in Scotland to own an Air Spade. Contact Arbor Vitae Arboriculture to help improve and prolong the health of your trees.